Piracy has seen a resurgence in the last decade, and now lurk in waters from the Atlantic to the West Pacific threatening maritime security. According to the International Maritime Bureau 2014 Piracy Report: Oil tankers and bulk carriers are the most at risk to be attacked: they are easy to board, slow moving vessels that often carry valuable cargo. International naval forces have done a great deal to secure the waters between Africa and India– in recent years, piracy has decreased in the Gulf of Aden, the Arabian Sea and the Indian Ocean. Other waters, however, off the coast of Nigeria and between the many islands of Indonesia, have seen an uptick in piracy. International naval forces can only patrol so much of the world’s water. It is ultimately up to the private shipping companies and their crews to secure their vessels. 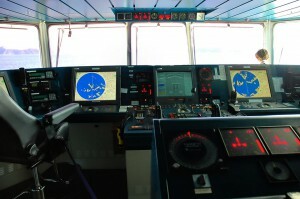 Crew receive information on a save sea passage. 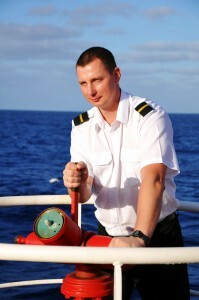 Each crew should do a thorough risk assessment before beginning each journey. There are many areas that are very safe for international maritime travel, but knowing where the dangerous waters are is a key to survival. There are often maritime security organizations that specialize in a certain area. For instance the Maritime Security Centre: Horn of Africa, focuses on threats off the east coast of Africa, and ReCAAP, a similar organization in Southeast Asia, protects ships there. These organizations have invaluable information for ships traveling through those regions, including real-time warnings of pirate activity. 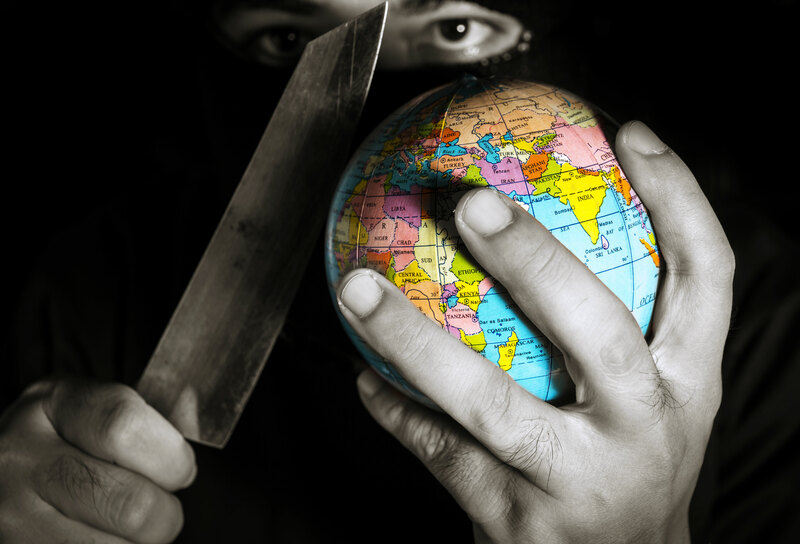 Pirates use knives, machetes, guns and pretty much everything that can harm and put maritime security at risk. According to the IMB 2014 Piracy Report, there are differences between the three main regions of piracy– West Africa, East Africa and Southeast Asia. Knives are common near Bangladesh; guns are more common near Nigeria. Indonesian pirates tend to be the best armed. Different weapons will dictate which physical defenses you should prepare, and how you plan to react to an attack. Check in with the United Kingdom Maritime Trade Operations to make sure your travel is registered. Make sure to get up to date information on the recommended international shipping travel corridors– these tend to be better protected and have far less of a risk of pirates. Be sure to leave your ship’s automatic identification system on, so you can be easily located in the event of an incident. Pirates are known to take crew as hostages to demand ransom from companies. The pirates attack on small, fast skiffs that rapidly approach the ship. The pirates, sometimes armed with AK-47’s or RPG’s, fire at the bridge of the ship, trying to get the captain to slow down or stop. They then position themselves alongside the ship and board with lightweight ladders, brutally overcoming any resistance from the crew. What comes next depends on the area. Pirates in Nigeria are well known for their smash and grab tactics— they’re more likely to steal the cargo and leave the crew than take hostages. East African pirates will take hostages and hope that the shipping companies will pay a high ransom fee. Looking for suspicious activity with high quality professional binoculars. Provide extra lookouts on each watch, and make sure all lookouts are keeping in communication with each other. Short rotations will prevent them from getting sleepy, optimizing their alertness. Lookouts equipped with binoculars will be able to see over long distances during the day, and those equipped with night ocular devices when it’s dark will also have an advantage. Pirates always aim to take control of the bridge. The bridge is the main focus of pirate attacks. Kevlar body armour and helmets for the bridge team will protect from the initial fire pirates direct at the bridge. Placing a double layer chain link fence around the back and sides of the bridge can decrease the effectiveness of RPG’s. Every second counts– pirate entry into the bridge can be delayed with reinforced doors and locks. The Best Management Practices for Protection Against Somalia Based Piracy guide recommends using physical barriers to hinder pirates if they try to board your vessel. A barbed wire fence at the edge of the deck can especially effective if constructed to hang overboard, preventing pirates from hooking their ladders. Electric fences can also work for certain vessels, but shouldn’t be used for ships carrying hydrocarbon. One thing there is plenty of in the ocean is water. High powered water cannons mounted at potential pirate boarding locations can shoot out. This water can either be directed to physically impede the pirates from boarding, or even to make it difficult for them to move their skiff up to the edge of the boat. Even if they’re not impenetrable, even a short delay can allow the crew to call for help. Private armed guards are a major deterrent to pirates for several reasons. 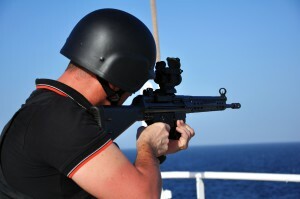 They’re trained maritime security operators and are often equipped with body armour and longer range weapons. Oftentimes all it takes are a few warning shots from a private guard to scare off the pirates all-together. But international maritime law can make working with these contractors tricky; many ports ban ships with weapons on board. A recent rise in floating armories is a solution to this problem– contractors can store their weapons before heading in to port. A citadel is a fortified room where a crew can go in case of a pirate attack. Citadels have heavily reinforced doors, stocks of food and water, and communications equipment. Citadels are constructed as a last resort– if the ship isn’t able to evade or deter the pirates, and has no armed guard, the captain can order the crew to retreat. Citadels are also very expensive to construct and nothing is impenetrable– a clever or determined pirate can find his way through almost anything. Tom has written a number of articles as part of Safe Guard Armour. He uses his knowledge and expertise in ballistics and body armour to provide information on a wide range of topics.